Am I a feminist? A panel discussion at The Guardian. Why I lament the lack of moderate voices on the right. Latest post for Guardian Australia. Australian farmers should not be a protected species. New post for Guardian Australia. Quentin Bryce: a model of even-handedness. A post for Guardian Australia. More governing, less posturing needed from Abbott. A post for Guardian Australia. Canberra’s parliament house has become the political equivalent of purgatory. The sprawling edifice is currently home to scores of lost souls stuck in political limbo since the government changed hands. In the raw days after an election defeat, these staffers would normally be adjusting to the rhythms of life in opposition – measuring the ebb and flow of contrarianism and scrutiny instead of riding the highs and lows of governing. But instead the bulk of the new opposition’s staff is sitting and waiting, with next to nothing to do until the ALP’s leadership is resolved. Aside from those working for the interim leader and two leadership aspirants, and the personal staff of each parliamentarian, the rest have no idea whether they will have jobs until the new leader is elected on 15 October, followed by a shadow ministry announcement and the government allocating the requisite staffing resources. As a result, the people best equipped with the policy and political know-how to exercise scrutiny on the Abbott government are simply missing in action. Without portfolios to shadow and, in many cases, even functioning email addresses or access to basic office equipment, one of the principal cogs of our parliamentary system is simply spinning in neutral. Our democracy is the poorer for it. An opposition that actually intended to deliver a one-term Abbott government rather than just mutter about it would be resisting every attempt by the government to lull the public into a false sense of security. Instead of indulging in empty theatrics to bolster its own membership books, the opposition should be exploiting the government’s weaknesses in strategy and judgement right now. For it’s clear the government has lost some strategic and political clarity in the past few weeks, since the locus of control shifted from the Coalition’s campaign team to the prime minister’s office. Within hours of that transition, political smarts were being traded for political whims, even on an iconic issue like the number of women in the ministry. Without even a blink of shame, previous Coalition articles of faith were turned on their heads: stopping information to the public on asylum seeker arrivals took priority over action to deter them, the budget emergency dissipated overnight with the possible deferral of the mid year economic and financial outlook (normally delivered between October and December) to January, and the nemesis of travel rortersproved to be an adept manipulator of the travel allowance rules himself. Each poor decision and stumble has rated barely a mention in the media, kicked along like an empty can by disheartened shadow ministers “sans portfolio” and treated with disinterest by journalists ironically transfixed by the incredible vanishing prime minister and his low/slow/no media strategy. By the time parliament resumes, at best guess in November and only for a short time, the Coalition will have had two months to prepare and Labor will have had two weeks. It will be almost impossible for the opposition to bring the Abbott government to account on any shortfallings before the Christmas hiatus. That leaves a lot of time between now and the next sitting of parliament in February 2014 for Abbott, his strategists and his ministers to get away with making bad or sloppy decisions, mis-counts or mis-speaks, and delivering the unpopular actions that most new governments jam into the early days of their parliamentary terms – such as Paul Keating dumping the second part of his L-A-W tax cuts, John Howard backtracking on election commitments by designating them as non-core promises and Campbell Newman cutting the number of public servants as part of his new government’s austerity drive. Whether voters remember these early fumbles and flaws at the next election depends entirely on the ability of the opposition to hold the government to account – from day one, not two months after the government wins office. Labor has embraced Rudd’s leadership election legacy like a vampire’s bride – succumbing to the mesmerising attractiveness of the members’ vote while choosing to ignore the danger that lurks beneath. It will be potentially destructive for the party if the caucus decision does not align with the popular vote. But perhaps even more damaging for Labor will be a broad voter perception that the opposition vacated the field in the early days of the Abbott government, when opposition scrutiny and protection of the community was needed the most. 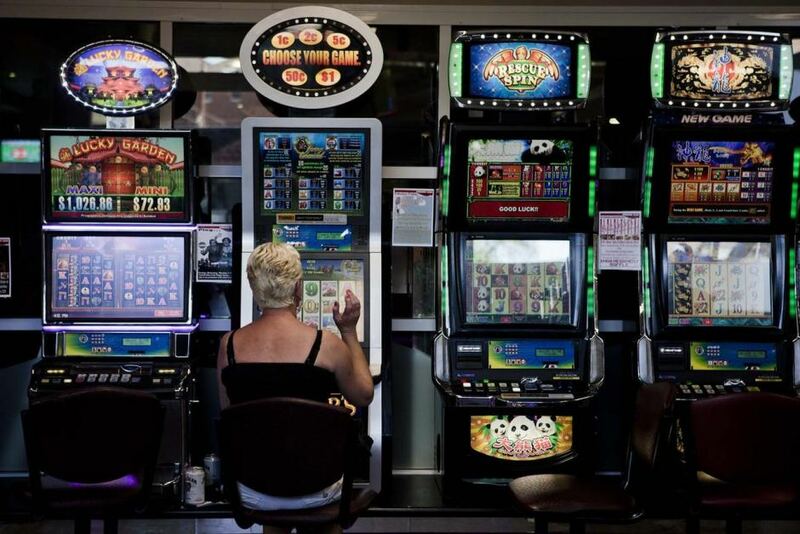 Here’s my take for Guardian Australia on last night’s Peoples’ Forum at Rooty Hill RSL Club and Kevin Rudd’s strategy to shorten Tony Abbott’s lead on economic competency. 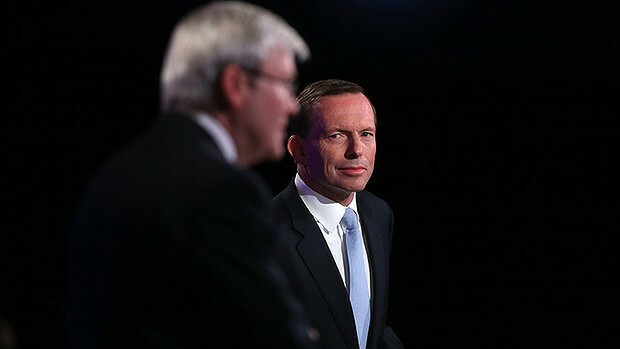 Here’s a post I wrote today for Guardian Australia on Tony Abbott’s “does this man ever shut up?” comment about Kevin Rudd last night at the Peoples’ Forum. By my reckoning it was more strategy than stuff up.